Background and Objectives: The present meta-analysis and systematic review individually examines each intranet and compare the results of different studies in order to arrive at more comprehensive outcomes. Method: The search took place between 2005 and 2019. In this study, we first reviewed the abstract of the articles and selected the studies that had the most coordination with our goals, and then we examined the entire text and finally, 8 studies were selected. In addition to reviewing the literature, the results are extracted and enter the meta-analyzer stata14, which summarizes the final results. Conclusion: This systematic review and meta-analysis summarizes the effects Bisphosphonates, Fluorides, Corticosteroids and drugs in orthodontic tooth movement (OTM). Corticosteroids affect the rate of OTM, and may also influence the long-term stability of orthodontically moved teeth. Moreover, non-steroidal anti-inflammatory drugs (NSAIDs) effectively alleviate the pain caused by orthodontic treatment, and also affect the movement of teeth by reducing the inflammatory or bone resorption process. Using medications and food supplements, including minerals and vitamins, can directly or indirectly affect the movement of teeth in orthodontic treatments. These effects are categorized into two major categories, including the effects of general bone physiology in terms of osteoclast differentiation, bone turnover rate, bone density and bone mineralization,  as well as the side effects of the medications, including gingival hyperplasia, external root resorption and xerostomia. Bisphosphonates, Fluorides, Corticosteroids, Estrogen, Aspirin, Diclofenac, Ibuprofen, Indomethacin can be mentioned as delay factors influenced of the tooth movement in orthodontic treatment. [1,4] The present meta-analysis and this systematic review individually examines each intranet and compare the results of different studies in order to arrive at more comprehensive outcomes. The present systematic review was conducted based on the Preferred Reporting Items for Systematic reviews and Meta-Analyses (PRISMA) reporting guidelines. To prepare the present study protocol, a systematic evaluation of eight selected studies was carried out. After obtaining the initial search results, data extraction forms were developed. This search was performed between 2005 and 2019. In this study, we first reviewed the abstract of the articles and selected the studies that had the most coordination with our goals, and then we examined the entire text and finally, 8 studies were selected. In addition to reviewing the literature, the results are extracted and enter the meta-analyzer stata14, which summarizes the final results. • In vitro and human or animal studies. Statistical analyses were implemented using stata14. Data collected from studies was evaluated by metap, meta-analysis, metan. In Venkataramana et al. study result showed, In bisphosphonate (BP) administered animals, the molar tooth movement was inhibited significantly and lesser amount of osteoclasts appeared along the alveolar bone surfaces towards the periodontal ligament (PDL), could be due to structural impairment and resorptive activity of osteoclasts. The clinical implication of this study is mainly to consider the patients under orthodontic therapy along with BP medication, the orthodontist must be cautious and also the risk possibilities like delayed OTM, compromised treatment, discontinuation of treatment etc., should be explained to the patients. Kaipatur et al. also found the bone burden of previously used bisphosphonate to significantly inhibit OTM. They also found tooth movements in a bisphosphonate to burden alveolar bone in the short term; however, such an invasive injury can have potential adverse effects. The systemic application of bisphosphonates reduces OTM and prevents the recurrence of OTM and skeletal relapses following mandibular distraction, maxillary expansion and the similar procedures [Tables 1 and 2]. Table 1: Information extracted from studies of delay bisphosphonates on orthodontic treatment. Table 2: Metap data analysis. Fluoride is almost entirely stored in human calcified tissues and is actively involved in bone metabolism. Its concentration in calcified tissues increases with age and is directly related to the fluoride concentration in consumed water. the effect of fluoride on clast cell activity and their crucial role in OTM. Research suggests that, in animals, fluoride reduces the rate of OTM (9). Karadeniz et al. found the mean rate of tooth movements to be greater in the strong force and high fluoride intake group. Age was also found to be negatively associated with OTM. Two-dimensional and three-dimensional methods were accurate for evaluating tooth movements after four weeks of applying buccal tipping force when the palatal rugae were used for superimposition. Moreover, Gonzales et al. found fluoride in drinking water to reduce the severity of orthodontically induced root resorption after birth, although the degree of tooth movement was also reduced [Tables 3 and 4]. Table 3: Group 1HH, High fluoride intake-Heavy force; Group 2LH, Low fluoride intake-Heavy force; Group 3HL, High fluoride intake-Light force and Group 4LL. Table 4: Test for heterogeneity: Q= 0.003 on 6 degrees of freedom (p= 1.000). Moment-based estimate of between studies variance=0.000. Table 5: Information extracted from studies of corticosteroids on orthodontic treatment and main findings of selected studies. Knop, et al. Dexamethasone disodium phosphate 2 mg/kg Intramuscular injection 3, 7 and 14 days 30 g CST inhibits bone resorption and delays collagen maturation in the bone matrix. Molina Da Silva, et al. Dexamethasone 0.5 mg/kg Intramuscular injection 5, 6, 8, 10, 12 and 19 days 50 cN (~51 g) CST has an inhibitory effect on MMP- 1 expression during the initial phase of OTM. Table 6: Heterogeneity Chi-squared=0.07 (d.f.=2) p=0.966. • Duration of orthodontic treatment is increased for patients under Bisphosphonate therapy as the bone turnover is delayed. • The effect of Fluoride amount of tooth movement was decreased. • Corticosteroids group of drugs affect the rate of OTM, and may also influence the long-term stability of orthodontic ally-moved teeth. • NSAIDs were found to effectively reduce the pain caused by orthodontic treatment, and to also influence the tooth movement by reducing the bone resorption or inflammatory process. Bartzela TN, Maltha JC. Medication effects on the rate of orthodontic tooth movement. Biology of Orthodontic Tooth Movement: Springer; 2016;133-159. Shroff B. Biology of orthodontic tooth movement: Current concepts and applications in orthodontic practice: Springer; 2016. Sonwane S, Kumar BS, Shweta R, Satyanarayan A. 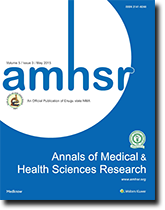 Drugs of systemic disorder and orthodontic tooth movement: A literature based random study. Cibtech.org. Krasny M, Zadurska M, Cessak G, Fiedor P. Analysis of effect of non-steroidal anti-inflammatory drugs on teeth and oral tissues during orthodontic treatment. Report based on literature review. Acta Pol Pharm. 2013;70:573-577. Arbelaez ML, Garcia SMV, Lopez JP, Avila D, Munevar JC, Pauwels A. Effect of bisphosphonates on orthodontic tooth movement in osteoporotic patients: A review. Journal of the World Federation of Orthodontists. 2018. Venkataramana V, Chidambaram S, Reddy BV, Goud ESS, Arafath M, Krishnan S. Impact of bisphosphonate on orthodontic tooth movement and osteoclastic count: An animal study. Journal of International Oral Health: JIOH. 2014;6:1. Kaipatur NR, Wu Y, Adeeb S, Stevenson TR, Major PW, Doschak MR. Impact of bisphosphonate drug burden in alveolar bone during orthodontic tooth movement in a rat model: A pilot study. American Journal of Orthodontics and Dentofacial Orthopedics. 2013;144:557-567. Kaipatur N, Major P, Stevenson T, Pehowich D, Adeeb S, Doschak M. Impact of selective alveolar decortication on bisphosphonate burdened alveolar bone during orthodontic tooth movement. Archives of Oral Biology. 2015;60:1681-1689. Karadeniz EI, Gonzales C, Elekdag-Turk S, Isci D, Sahin-Saglam AM, Alkis H, et al. The effect of fluoride on orthodontic tooth movement in humans. A two-and three-dimensional evaluation. Australian Orthodontic Journal. 2011;27:94. Gonzales C, Hotokezaka H, Karadeniz EI, Miyazaki T, Kobayashi E, Darendeliler MA, et al. Effects of fluoride intake on orthodontic tooth movement and orthodontically induced root resorption. American Journal of Orthodontics and Dentofacial Orthopedics. 2011;139:196-205. Kalia S, Melsen B, Verna C. Tissue reaction to orthodontic tooth movement in acute and chronic corticosteroid treatment. Orthodontics & Craniofacial Research. 2004;7:26-34. Abtahi M, Shafaee H, Saghravania N, Peel S, Giddon D, Sohrabi K. Effect of corticosteroids on orthodontic tooth movement in a rabbit model. Journal of Clinical Pediatric Dentistry. 2014;38:285-289. Knop LAH, Shintcovsk RL, Retamoso LB, Ribeiro JS, Tanaka OM. Non-steroidal and steroidal anti-inflammatory use in the context of orthodontic movement. The European Journal of Orthodontics. 2011;34:531-535. Molina Da Silva G, Tanaka O, Campos Navarro D, Repeke C, Garlet G, Guariza-Filho O, et al. The effect of potassium diclofenac and dexamethasone on MMP-1 gene transcript levels during experimental tooth movement in rats. Orthodontics & Craniofacial Research. 2017;20:30-34. Karthi M, Anbuslevan GJ, Senthilkumar KP, Tamizharsi S, Raja S, Prabhakar K. NSAIDs in orthodontic tooth movement. Journal of Pharmacy & Bioallied Sciences. 2012;4:S304. Arias OR, Marquez-Orozco MC. Aspirin, acetaminophen, and ibuprofen: their effects on orthodontic tooth movement. American Journal of Orthodontics and Dentofacial Orthopedics. 2006;130:364-370. Rogers MA, Aronoff DM. The influence of non-steroidal anti-inflammatory drugs on the gut microbiome. Clinical Microbiology and Infection. 2016;22:178e1-178e9. De Carlos F, Cobo J, Díaz-Esnal B, Arguelles J, Vijande M, Costales M. Orthodontic tooth movement after inhibition of cyclooxygenase-2. American Journal of Orthodontics and Dentofacial Orthopedics. 2006;129:402-406. Ireland AJ, Ellis P, Jordan A, Bradley R, Ewings P, Atack NE, et al. Chewing gum vs. ibuprofen in the management of orthodontic pain, a multi-centre randomised controlled trial–The effect of anxiety. Journal of Orthodontics. 2017;44:3-7. Sodagar A, Etezadi T, Motahhary P, Dehpour AR, Vaziri H, Khojasteh A. The effect of celecoxib on orthodontic tooth movement and root resorption in rat. Journal of Dentistry (Tehran, Iran). 2013;10:303.